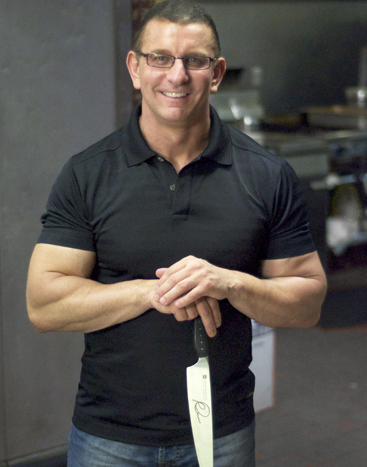 For Robert Irvine's next Restaurant: Impossible mission, he heads to Mystic in my home state of Connecticut to tackle the Flood Tide restaurant. It's located in a major tourist spot but the owner, Jody Dyer, is concerned because business has tanked over the last few years. Upon first glance, the biggest issue is that this restaurant is super outdated... it looks like nothing has been touched since the 80s! 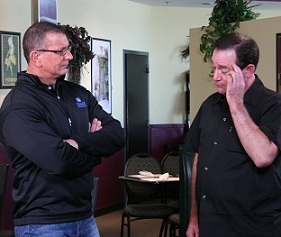 Last night, on Restaurant: Impossible, Robert headed to Jacksonville, FL to check out the Secret Garden Café. The owners, Michael Williams and Zack Nettles, have owned the restaurant for six years but don't see eye to eye on how to run it. They're in major debt and it's possible that they may have to shut down in 3 months if things don't improve. The worst part is that they've never taken a salary for working there! Six years... no pay... what's the point?! 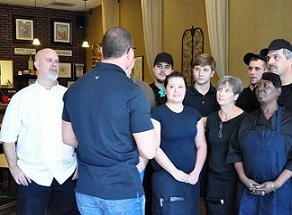 On Restaurant: Impossible, Robert Irvine's next mission is to save Meglio's, an Italian restaurant in Missouri that is failing financially. Prior to opening the restaurant, owner John Meglio was a salesman. He's taken a second mortgage out on his home to help keep the place going and he has no previous restaurant experience! Oh boy, he definitely needs Robert's help here! This week, on Restaurant: Impossible, Robert is in North Carolina to help Michael Thyberg and Jonathan Flatt save Salt Works II. The first time restaurant owners took the place over, keeping the same staff and menu. Soon after, the whole place began to fall apart and they're now in a hole they can't get out of. In the first year alone, these guys have lost over $100,000!